Ask open-ended questions. It is too easy to “tell” people what to do and how to do it. It is easy to say “you need to do” something or you “should do” this or that. Instead, it is much more powerful and helpful for mentors to engage their mentees with questions that will help lead them to the right decision for them. Keep in mind the mentor may have different interests, goals or values than the mentee and it is not fair to assume what “works” for the mentor will “work” others. What do you see as possible options? What would success look like for you in 1 year? In 5 years? What resources would you need to be successful? How are you going to celebrate when you are successful? Consider how Socrates wisely guided Plato and is considered one of the most powerful teachers and mentors. 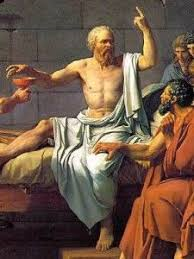 He believed that people with a sound mind already fundamentally have the “basic truths of life deep inside of one’s being, even if unaware of possessing this knowledge.” Through conversation and a series of questions, Socrates would help people to discover and articulate their own knowledge, rather than force an idea or words into their minds. If you are a mentor, we encourage you to “socratically” engage your protege with open-ended questions and if you are a protege, we encourage you to enjoy tapping into the wisdom you have within you.